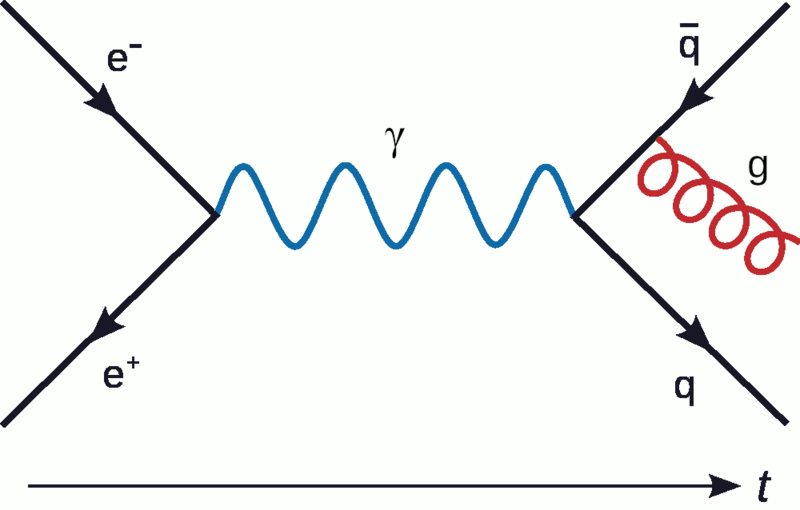 Richard Feynman is a hero to many, amongst other things due to having found a wonderful way of imagining quantum electrodynamics, the so-called Feynman diagrams. The image above is one of those and shows, if I am correct, the reaction between an electron and a positron. The latter being the antimatter to the former’s matter – and the other way around. Look at it closely. You see the arrows? They point along the time axis. Anything you notice?